That light at the end of the tunnel, is a train. 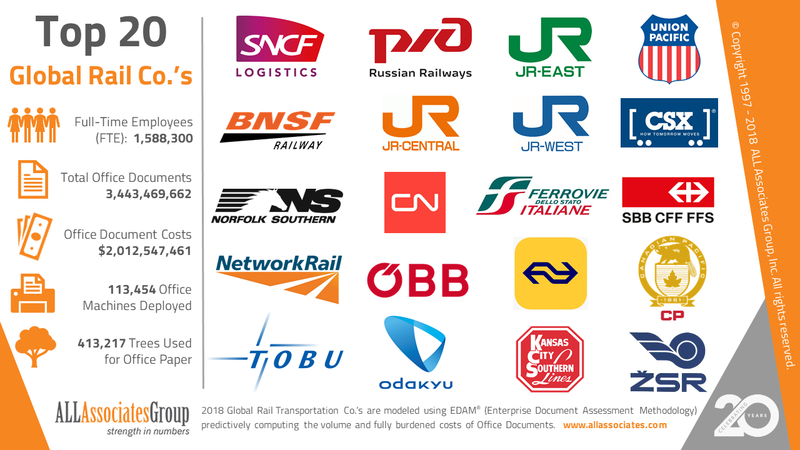 We studied the impact of 20 global rail (passenger and freight) transportation companies staffed by 1,588,300 full-time equivalent employees, that during 2018 will produce some 3.44 billion office documents with a predicted fully burden cost just over $2 billion dollars. A spoon full of sugar makes the medicine go down. 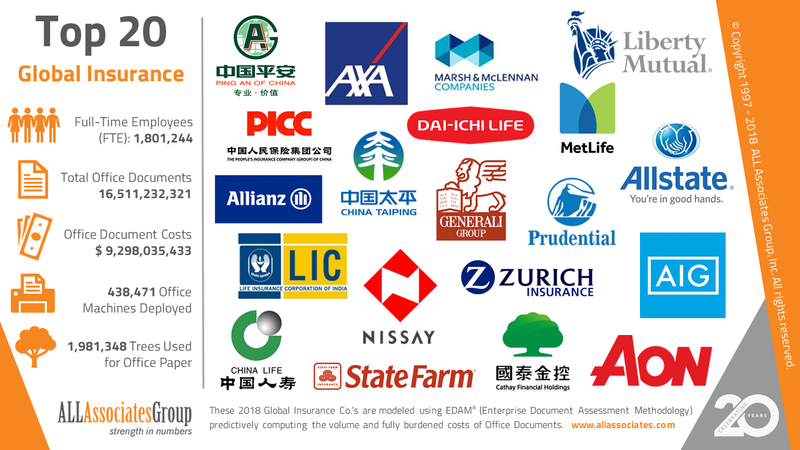 We studied the impact of 65 global pharmaceutical companies staffed by 1,917,208 full-time equivalent employees, that during 2018 will produce some 10.7 billion office documents with a predicted fully burden cost just over $6.1 billion dollars. 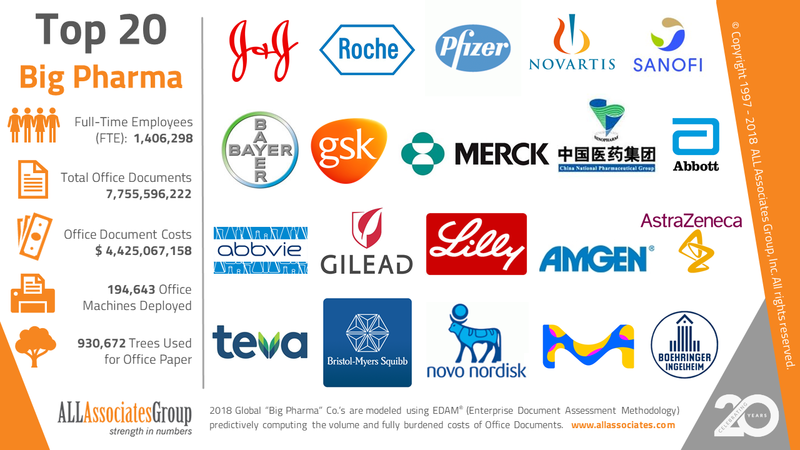 This document reviews the Top 20 Big Pharma companies. Up we go into the wild blue yonder. 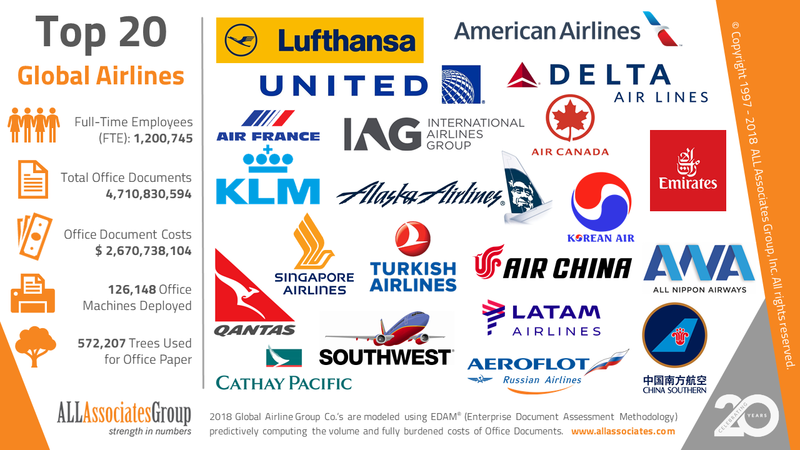 We studied the impact of 40 global air transportation companies staffed by 1,418,449 full-time equivalent employees, that during 2018 will produce some 5.57 billion office documents with a predicted fully burden cost just over $3.15 billion dollars. This document reviews the Top 20 Airlines. Content is KING in the media industry. 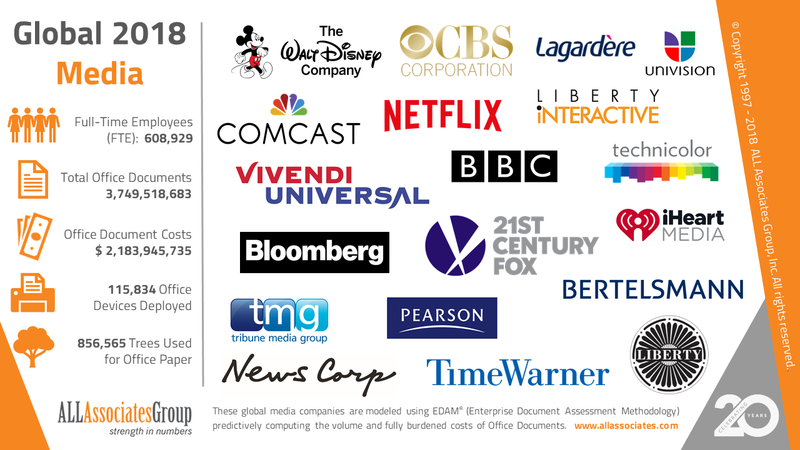 These companies fortunes and failures reside on their ability to create and deliver entertainment and news via Internet, television, radio and print. We will see more technology engineering and infrastructural companies merging with content creators to control distribution and monetize access through a subscription basis. This industry is very document-centric in creation, communication, and contracting with an average of 4.68% of total revenues in 2018 on document production.